Relationship Problems | How Much Should You Compromise & Change? 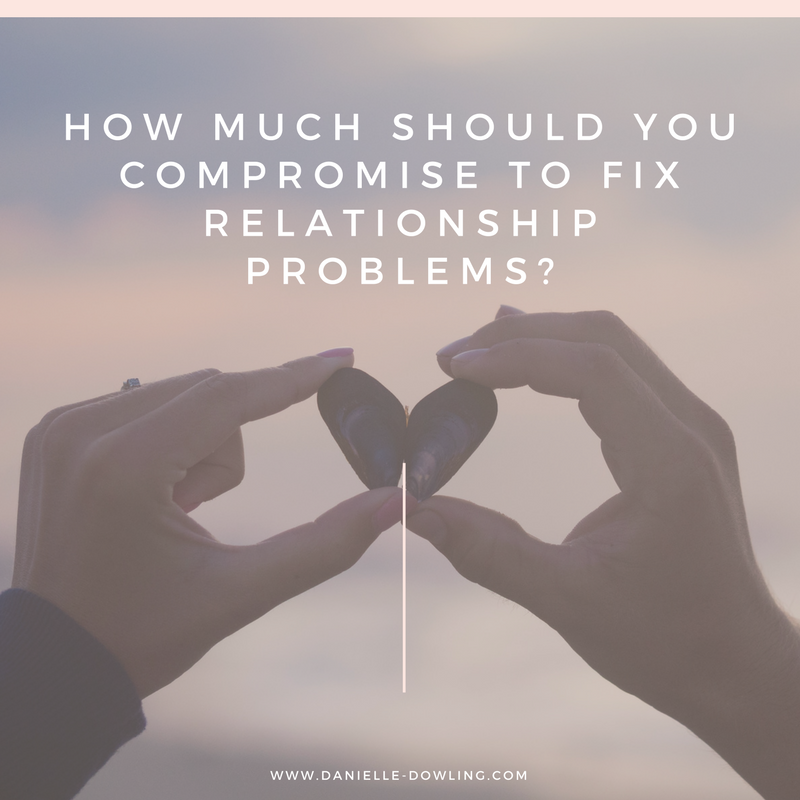 How Much Should You Compromise to Fix Relationship Problems? Our relationships are a direct reflection of our own self-worth. Who we love is intrinsically tied to our level of self-esteem. Every day, clients tell me that they’re in a relationship with a person they care about but their needs aren’t being met. And every day, my sweet, smart, lovely clients ask me how they can change to keep that (mediocre, unfulfilling) relationship going. The only change they need to make (that any of us needs to make) is to be more authentically ourselves. Now, that doesn’t mean you’ll never have to make another compromise. But it does mean that you should never abandon yourself to please another. It’s human nature to fear the unknown and fear being left alone. But, sweet friend, it’s not your partner’s fault if your needs aren’t being met. Responsibility and accountability are yours to wield. Communicate your needs and choose someone who respects, enjoys + loves you. We must practice getting comfortable with the unknown and with letting go of toxic relationships. We must trust that we can co-create and design the life of our dreams, not as we change to satisfy others but as we embrace love and delve into deeper integrity. 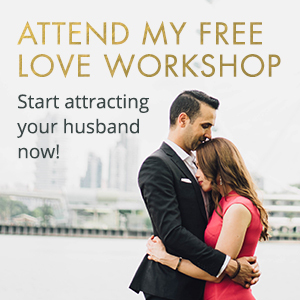 Want to date better + find someone who’s as amazing as you are? 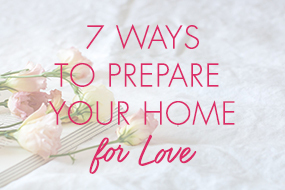 You won’t find a calm, centered, happy partner when you, yourself, are frazzled and wound up. You won’t land that confident, loving guy when you’re fraught with self-doubt and anxiety. Spend some time working on yourself and cleaning up your side of the proverbial street, and you’ll be that much more likely to find someone who is also balanced and self-aware. Don’t worry about cultivating a six pack or getting an MBA if that’s not really what you’re into, just focus on becoming the best possible version of you and loving who you are. Some people like to text every day. Some people need a lot of alone time. Some people want their partner to plan exciting dates. All of these needs are equally legitimate. But your partner will never know what your needs are if you don’t tell him. You needn’t open a first date with a checklist, but once things are clicking along, it’s okay to say “I want you to feel loved and appreciated. How can I do that?” and then when you’ve heard her suggestions, you can share yours. And then when she does that for you? Lots and lots of acknowledgement and appreciation. Dating can be exhausting and demoralizing. I know. (I really, really know.) And I know it can be tempting to date that Really Nice Person Who Likes You. But please, hold out for the person who gives you what you need. No more dating that hot guy who cancels at the last minute. Or the sweet girl who hates her job and is buried in credit card debt. Or that cutie who’s super negative and says snarky things about everything and everyone. He’s out there. She’s waiting for you. And you’re wasting time with that cutie who isn’t right for you. Of course in any relationship we have to compromise and find a middle ground. There are ways to fix relationship problems without splitting up. But you should never change who you are to keep a relationship going. Please yourself first and then you will attract someone who is pleased with you. This means embracing the unknown and being okay with letting go of something or someone that isn’t meeting your needs. Get started today on finding your perfect partner. Click here to download your three page copy of Relationship Know How! I think compromise is helpful weapon to spent a happy life and good for strong relationship. No one is perfect in this world so everyone must compromise to each other.